The North Hills East Neighborhood Council has been hard at work providing community events and reaching out to the neighborhood in 2016. This year the Board supported events at North Hills Park including Summer Movie Nights and Fall Friday Nights with ice cream. In September North Hills East NC sponsored a multi-cultural event at North Hills Park with dancers, entertainment, a piñata, refreshments and information on how to get involved. 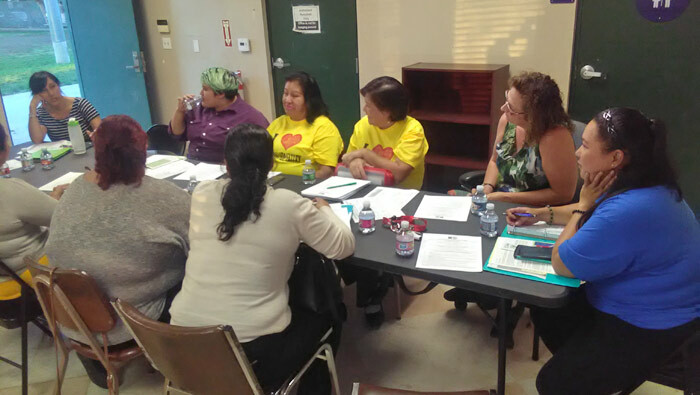 The Board reached out to parents through Coffee with the Principal meetings at Rosa Parks Learning Center, Langdon Elementary, and Sepulveda Middle School. We participated in the well-attended Valley Disaster Emergency Preparedness Fair in October which provided valuable information to attendees on disaster readiness and we met lots of interested stakeholders. In addition to providing community events, we held several community clean ups at Columbus Avenue and Chase Street as well as Noble Avenue. We have considered multiple land use issues and sponsored a Homeless Town Hall meeting, to address the most pressing issue for our community. Coming up in February we are planning to sponsor the North Hills Got Talent event at Rosa Parks Learning Center. See our calendar for details of this and other upcoming events.